In 2014, a Saudi Arabian court ordered the execution of Ali al-Nimr. Despite wide-spread criticism, including from the UN, the kingdom claims it only executes the “most serious criminals.” Ali was a minor—17-years-old—when authorities arrested him in 2012 for participating in a non-violent demonstration. They kept him in pretrial detention for two years, tortured him into confessing, and tried him in the Specialized Criminal Court (SCC). Ali was only 19-years-old when authorities sentenced him to death. He is now 21-years-old, and has spent the last four years in prison. The SCC is the court in Saudi Arabia charged with prosecuting terror-related crimes. It operates under the purview of the 2014 Law for Crimes of Terrorism and its Financing, which favors the government, commonly referred to as the government’s anti-terror law. The court is under the oversight of the Ministry of Interior, one of the state’s bodies most implicated in human rights abuses. As a national security and terrorism-focused court, the SCC’s very nature encourages secrecy, opacity, politically-motivated charges and convictions, and due process violations. The anti-terror law allows the SCC to try the accused in absentia, allows the government to detain the accused for months prior to trial, and allows witnesses to remain anonymous. The court often denies legal representation to the defendants and heavily restricts the work of defendants’ legal teams. Furthermore, the court allows coerced confessions extracted through torture to be presented as evidence. Ali’s trial in the SCC did not accord with international standards of due process. On the contrary, the judicial irregularities present during Ali’s trial are often the norm in the SCC. For example, during his two-year pre-trial detention, authorities prevented Ali from contacting his lawyer. When Ali was granted access to his lawyer, officials allowed neither Ali nor his lawyer access to his case file or the evidence against him. 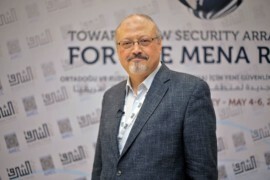 The court charged him with a number of terror-related and treason-related crimes, but officials did not inform Ali or his lawyer of the charges until half-way through the trial. The court convicted him of these charges based on Ali’s torture-coerced confession and sentenced him to death. Ali’s treatment, trial, and sentence are emblematic of the kingdom’s treatment of activists, dissidents, and its Shia population. In addition to Ali, the government has prosecuted and sentenced Shia activists and critics like Fadhil al-Manasif and Sheikh Nimr al-Nimr, Ali’s uncle. Authorities have also used prosecuted and sentenced Sunni opposition figures like Waleed Abu al-Khair and Mikhlif al-Shammari. In this manner, Ali’s situation is a product of Saudi Arabia’s systematic campaign of repression of its own populace. While the kingdom disproportionately targets its Shia minority population, it also suppresses freedom of expression and freedom of assembly for its Sunni majority. Women and girls remain subject to the restrictive guardianship system and migrant workers suffer abuse, exploitation, and even forced labor. Since his arrest, Ali has spent four years in prison. The government has tortured him and sentenced him to death. His trial did not accord with international standards of due process and his treatment while in prison violated the UN Convention on the Rights of the Child and the UN Convention Against Torture. Saudi Arabia should strengthen its legislation to ensure that individuals are not sentenced to death for alleged crimes committed when they were minors, and it should immediately release Ali and drop all charges against him.